The usual parade of vast extravagances in audio electronics seemed more subdued than usual this year, and – while there were a few experiments in pushing the frontiers of price-tag technology – this year, the audio industry almost collectively moved toward the middle sections of their product portfolios. The great part of this trend is that many of these more attainable products are designed without compromise in user functionality or compatibility. These are products that might shave half an inch from a front panel, or step back from kilowatt power delivery, and provide a product for a fraction of the price of the flagship. 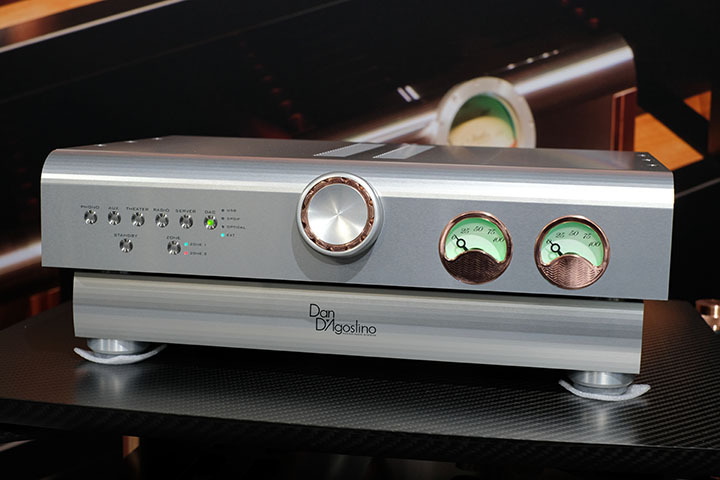 D’Agostino has finally added a preamplifier to its Progression range. Like the Momentum preamplifer, the new $22,000 preamplifier is a two-box-in-one design, with the lower power supply stage including an additional power supply feed for an upcoming phono stage. 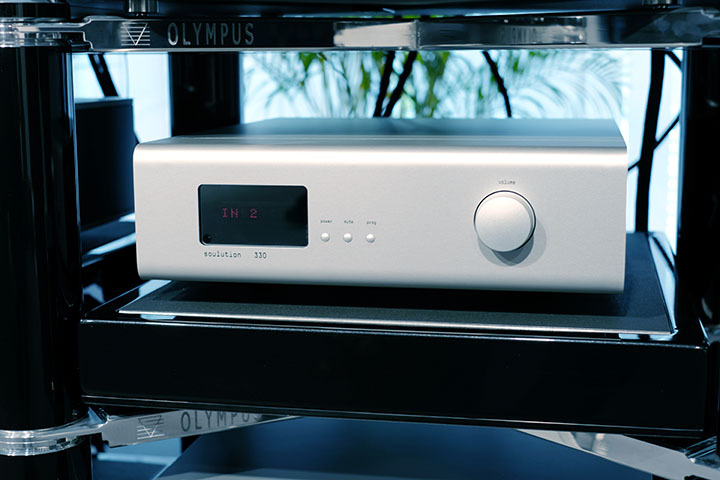 Available as a line only design, or with an optional on-board DAC for an additional $4,500, the Progression has pseudo-single-ended and balanced inputs, and balanced-only outputs, and will be available from July. The preamp is perfect for the colour versions of the Progression mono amplifiers, which looked striking in vivid red (shoe fetishists rather than Ferrari fans may recognise the shade). 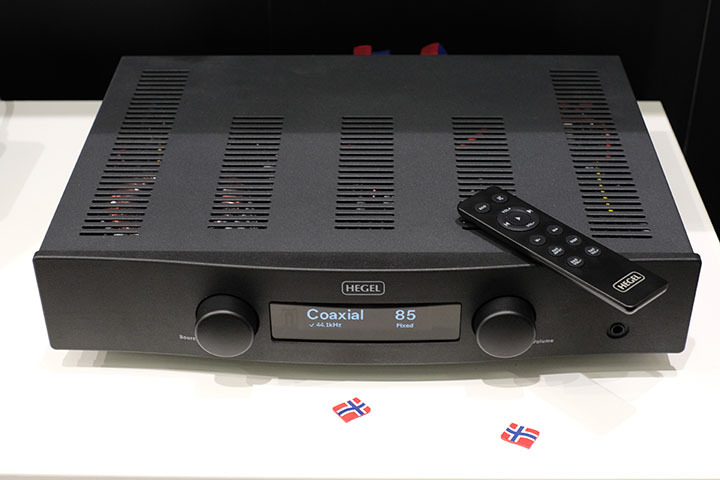 Hegel’s ever popular H80 entry-level integrated amplifier has come to the end of its life. Its replacement – the H90 – offers better SoundEngine2 performance, a composite front panel, Röst-like functionality (without Control 4 multiroom connectivity) and on-board Ethernet network connections, and even Apple AirPlay, all for exactly the same €1,685 price tag of its predecessor. Although out on an open stand, the new 60W amplifier has the same ‘fighting beyond its weight class’ qualities of its predecessor and comfortably drove a pair of KEF Reference towers, perhaps thanks to a damping factor of more than 2000! Soulution’s new 3 Series, shown for the first time at Munich, moves the brand from the ‘aspirational’ into the ‘almost attainable’ level. First product in production is the €17,500 330 integrated, a 100W design that works predominantly in Class A, doubles its load into four and two ohms, and can be supplied with optional phono stage and/or DAC at €3,000 per module. Playing in a system culminating in a pair of Rockport Cygnus loudspeakers, many mistook its performance for that of the 7 Series! The €9,500 325 preamplifier and €14,000 311 power amplifier will follow later in the year. 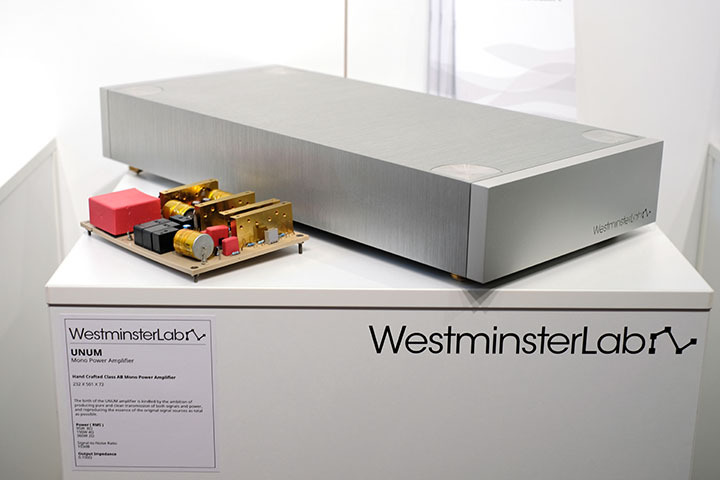 Westminster Lab had its official debut at Munich this year, and its first product is the £34,000 per pair Unum (as in ‘E Pluribus…’) mono amps. Built around a svelte 30kg block of 6082 aluminium milled down to form an 8kg unibody core, the amplifier eschews conventional circuit boards for blocks of PEEK, with point-to-point wiring instead of circuit tracks, and high-grade discreet components in place of integrated circuits. The company has also replaced heatsinks with what it calls ‘unified thermal cores’. The resultant 19kg, 95W power amp is said to double its power into four and two ohms. Impressive!